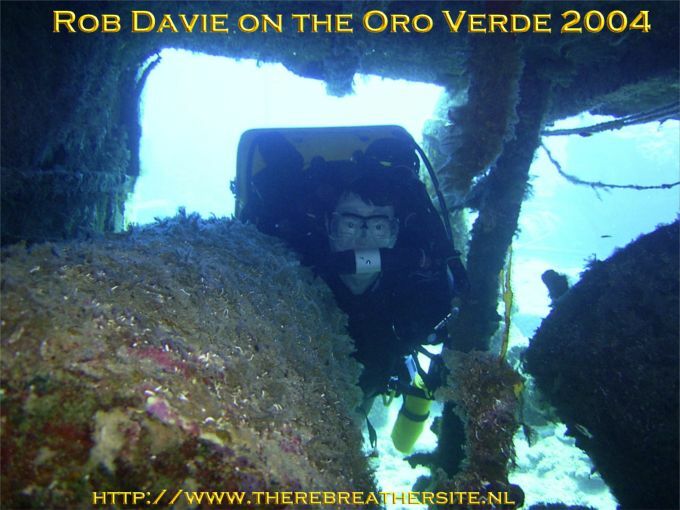 Rob Davie sent me pictures from his "expedition inspiration" used during a trainings dive on the "Oro Verde", Grand Cayman Island. He rebuild the standard unit to be used with 7 liter cylinders. The unit is essentially factory Inspiration at this point, except with an extended "factory-look" fibreglass case built to contain 7 liter cylinders. It has stainless-steel military latches, and room for a comm box and a light battery. The Auto-Air has been removed, and an Apeks TX-100 second stage on a 7 foot hose has been added. The wing at present is a Dive Rite dual-bladder unit on one of their stainless back-plates. I call it an Expedition Inspiration, due to the extra features added for safety at depth. Soon to be added are an M&J manifold, and a Block B Revision Hammer-Head control unit. 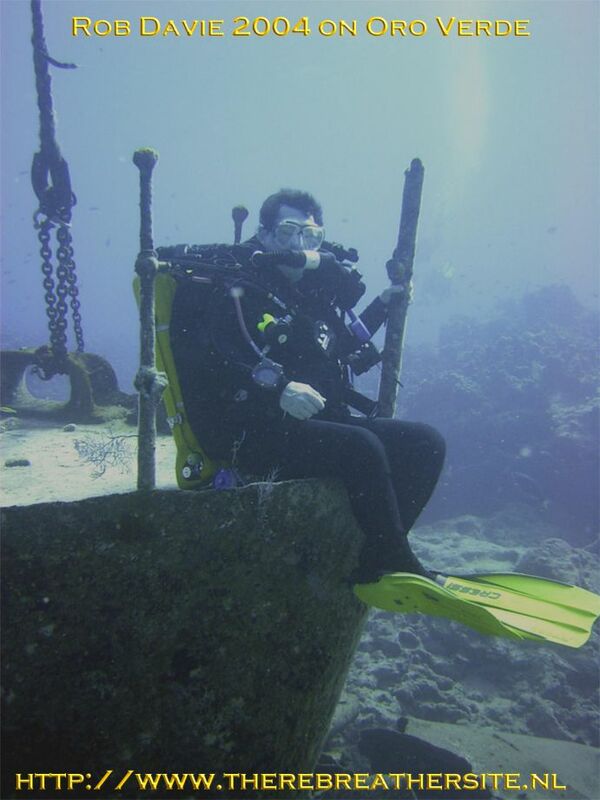 The training was conducted in the waters around Grand Cayman Island from 21 to 27 Mar 2004. The training was at the ab initio level, the diluent was air, and the max depth was restricted to 130 fsw. The longest dive was 2 hours and 10 minutes. Rob, thank you for your contribution! 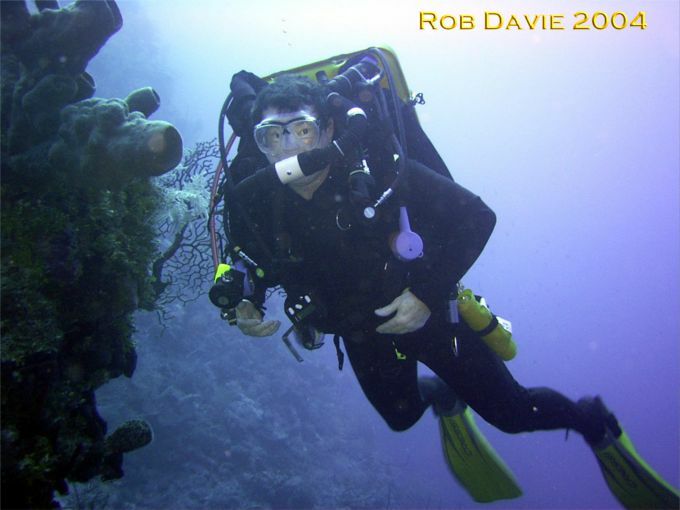 Rob Davie died last weekend (22/23 April 2006) in Egypt. We are all shocked Rob passed away. I would ask anybody who has pictures or photos of Rob to contact his wife Sheryl Davie by email, sending pictures and stories. She asked for the photos and stories to help her in these difficult days. I wish her all strength!